Filed under: News , UFC The UFC makes its debut in Hidalgo, Texas, with an intriguing lightweight headliner tonight with “UFC Fight Night 94: Poirier vs. Johnson.” Here’s how to watch. UFC Fight Night 94 takes place at Quicken Loans Arena. 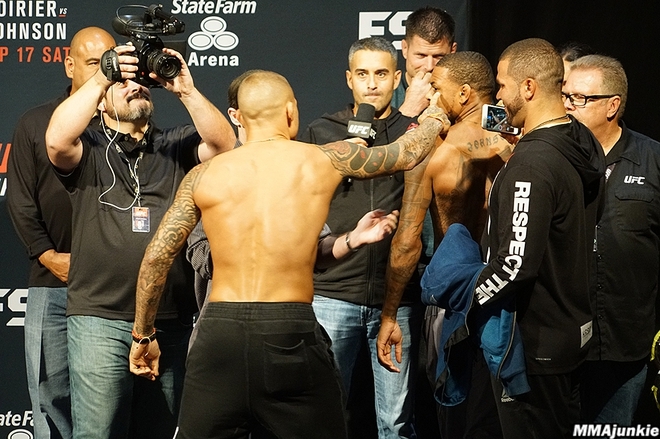 The main card airs on FS1 following prelims on FS1 and UFC Fight Pass.